Q: How much does the Segway Tour cost? A: US$99 per person. Groups of 6 or more are entitled to 5% off on the entire booking (email for discount code). A: Once purchased, tickets cannot be refunded and cannot be rescheduled without advanced notice because your space is being guaranteed for the tour, and space is limited. A: Both the Day and Sunset tours are approximately 90 minutes long. Q: What’s the maximum tour size? A: We can accommodate up to 16 guests, which are accompanied by 3 guides per tour. Q: What tour times do you offer? A: Day Tours are: 9:00am, 11:00am, 1:00pm and 3:00pm. Sunset Tour is 5:00pm (time varies as sunset times change). Q: What days are you open for business? A: We are normally open for business Monday – Friday 8:30am – 5pm. Saturday tours are available by advanced booking at least the day before. We are closed on Sunday. 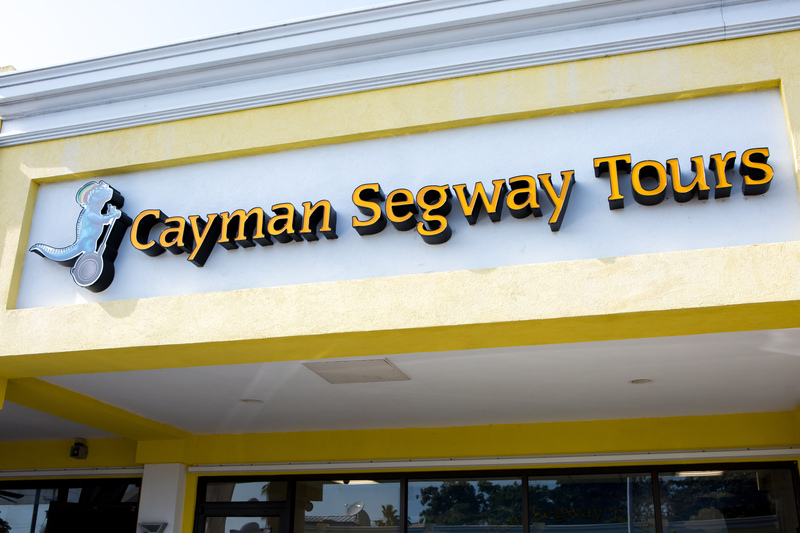 A: Tours depart from our location at #29 Seven Mile Shops, 215 West Bay Road. Q: Can I walk up and book a tour? A: Due to small tour sizes and high demand, we recommend booking in advance to avoid disappointment. Q: As a first time rider, will I be trained before going on tour? 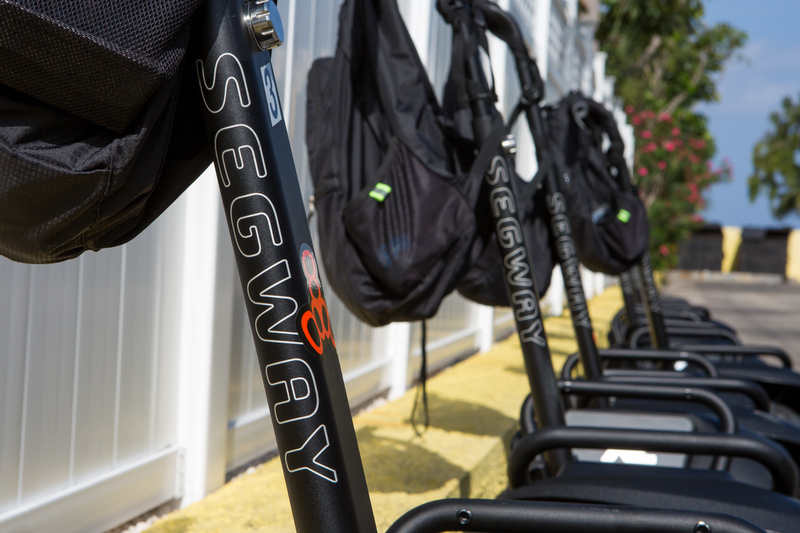 A: Each rider will be thoroughly trained on how to operate the Segway PT. When you are comfortable we will begin the tour. Q: What speed is the Segway PT set for guest? A: 6 mph, however, once you ride the Segway PT on the beach we set it to a higher speed i.e. 12.5 mph in order to handle the terrain. Q: What’s the minimum age to ride the Segway PT? A: Riders must be at least 12 years old. Persons under 18 years of age must have a parent/guardian riding along with them who must also sign the waiver on the minor’s behalf. Q: Can you ride the Segway PT on the sand? 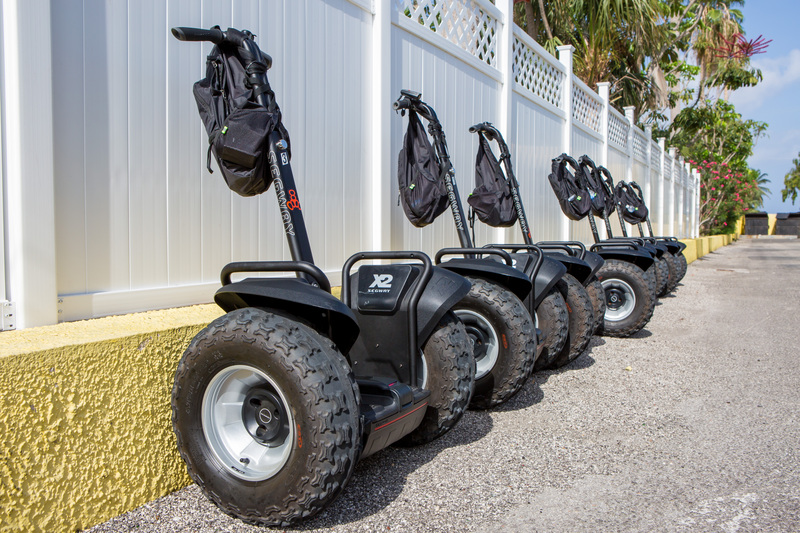 A: Yes we have the all terrain Segway PT X2 models which you will ride along Seven Mile Beach. 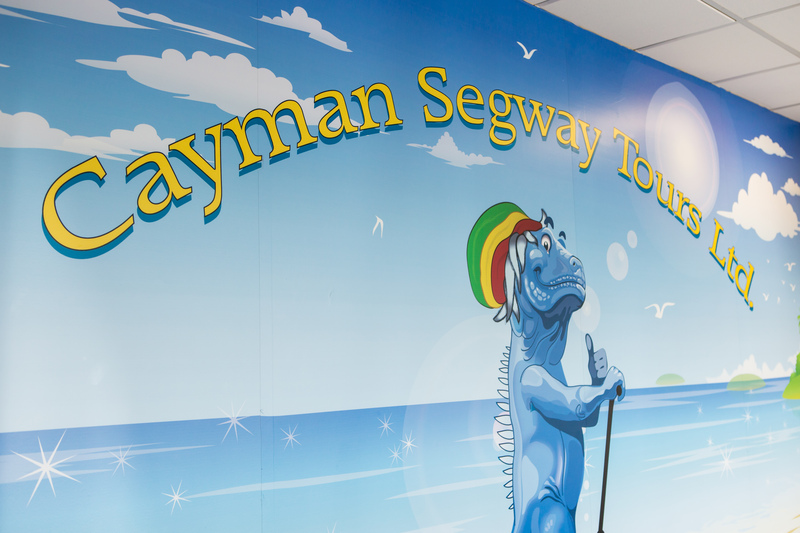 This is where you will get the most unique opportunity for pictures, on a Segway PT with the Caribbean Sea behind you. Q: What should I wear/carry? A: Be sure to wear closed toe shoes and comfortable clothing. If you plan on doing beach time (Day Tour Only), you can bring along swim wear, sunscreen and a towel. We have lockers available at our location for your use. Q: I’m arriving via cruise ship, can I take the tour? A: Yes, our Day Tours are ideal for Cruise Passengers! Please be sure to provide the Cruise Ship name when completing your booking. We provide free shuttle service from and back to the Cruise Port. If you plan on doing beach time, bring along a towel and US$2 per person for entrance fees into Royal Palms Beach Club.